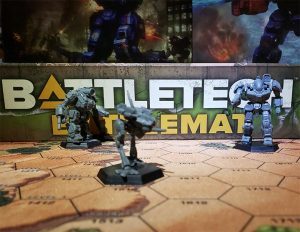 This article is about the Clan Battlemech. For the military unit, see Supernova (Formation). A second-line Clan 'Mech feared by many Inner Sphere pilots, the Supernova seems to be an advanced version of the Black Hawk, though it was actually developed before that venerable OmniMech. Plans to replace the King Crab's loadout with clusters of Large Lasers grew from a shortage of autocannon ammunition. The first prototypes met with little success due to the King Crab's integral Ferro Fibrous armor, but gave rise to a lighter and leaner new design. The Supernova's only armaments are six Clan ER Large Lasers. 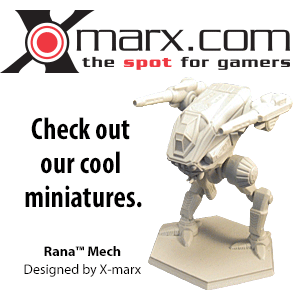 While this is a fair amount of firepower for a 'Mech of its size, it has a severe overheating problem. After firing no more than three full, consecutive salvos, the Supernova will force an automatic shutdown, so MechWarriors must carefully manage their heat. Apparently based on the Supernova-2, the Supernova-A retains only a single ER Large Laser in each arm, mounting an Artemis IV FCS-equipped LRM-20 and Streak SRM-6 launcher in each torso. With a targeting computer linked to the large lasers, three tons of LRM missiles and four tons of Streak reloads give the A variant good endurance. Keeping the classic jump jets and boosting armor over primary variant, an Endo Steel frame and fitting only seventeen double heat sinks are used to free up the extra weight required for the missile launchers. Eschewing striking at a distance for short-ranged stopping power, the B variant mounts twin Large Pulse Lasers in each arm, supported by an ER Medium Laser in each arm, head and center torso. Built on the same body as the 2, the Supernova-B's laser array is linked to a sizable targeting computer and eighteen double heat sinks. Somewhat of an anomaly, unlike its brothers the Supernova-C mounts its primary weapons in its torsos and secondary weapons in its arms; twin Large Pulse Lasers in each side torso supported by a ER Medium and Medium Pulse Laser in each arm. Built on the framework of the Supernova-2, the C mounts twenty-two double heat sinks. While feared by the Inner Sphere, the Supernova design was born out of necessity in an attempt to address ammunition shortages by changing the original King Crab design to an all-energy loadout. The Boiler is a customized Supernova variant that seeks to re-engineer the Supernova back to the original King Crab loadout using Clan technology, essentially making the Boiler a “King Crab IIC”. It mounts an Ultra AC/20 in each arm supported by a Large Pulse Laser in the right torso and an LRM-15 rack in the left. As it was built upon the frame of the standard Supernova, it retains the jump jets but mounts only seventeen double heat sinks. Like its progenitor, the Boiler lacks field endurance, carrying only two tons of Ultra Autocannon rounds and one ton of LRM reloads. King Crab - Due to a shortage of ammunition, the King Crab's armament was replaced by an all energy-weapon loadout, creating the Supernova's Prime variant. Nova - The Nova appears to be inspired by the Supernova. ↑ 1.0 1.1 1.2 1.3 1.4 Technical Readout: 3058 Upgrade, pp. 190-190, "Supernova"
This page was last edited on 29 September 2018, at 14:11.